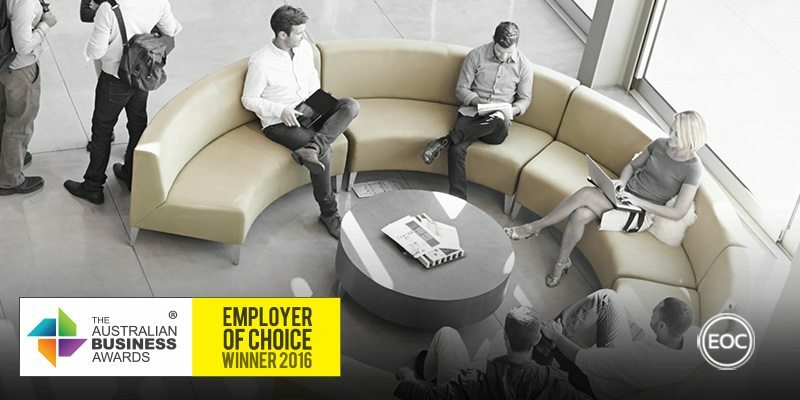 Telstra has been recognised as an Employer of Choice in The Australian Business Awards 2016. Telstra strives to offer a safe and supportive environment where employees are valued and have the opportunity to reach their full potential. To bring these ambitions to life, Telstra developed a company-wide Values program, designed to support their leaders and their people to agree on a set of behaviours for which teams then hold each other accountable. In 2015, Telstra invested more than $1200 per employee in developing key business skills, such as driving change, strategic thinking and planning, commercial acumen, business partnering and coaching. Overall employees have completed more than 220,000 learning courses in the first half of 2016. Telstra’s approach to its employees has been designed to empower its people to take ownership of their professional growth and workplace contributions. This contribution is recognised by reward and recognition programs, which include a range of discounts on Telstra products, services and applications, as well as salary packaging and employee share plans. Telstra also has a comprehensive company-wide approach to workplace flexibility and leave, where flexibility is considered to be the starting point for all roles for employees across the company. Telstra have a broad range of progressive leave policies covering parental leave, personal (including carer’s) leave, cultural leave and the ability to purchase additional leave. In addition, Telstra has ambitious employee diversity targets led by a Diversity Council. Through this forum and our leadership framework, leadership expectations are clear and reinforced so that employees lead inclusively and value difference. Telstra has also integrated its values into its policies and processes. One example is recruitment where Telstra has recently streamlined its processes, removing unnecessary bureaucracy. These enhancements are designed to reduce the average recruitment process by one to two weeks, exceeding global best practice timeframes whilst driving a significantly improved candidate experience. A focus on removing bureaucratic processes across the company (reflecting one of the Telstra Values – “Make the Complex Simple”) reinforces trust in managers and frees up employees.